Oil on canvas, signed C.J. Waldron, 1873. 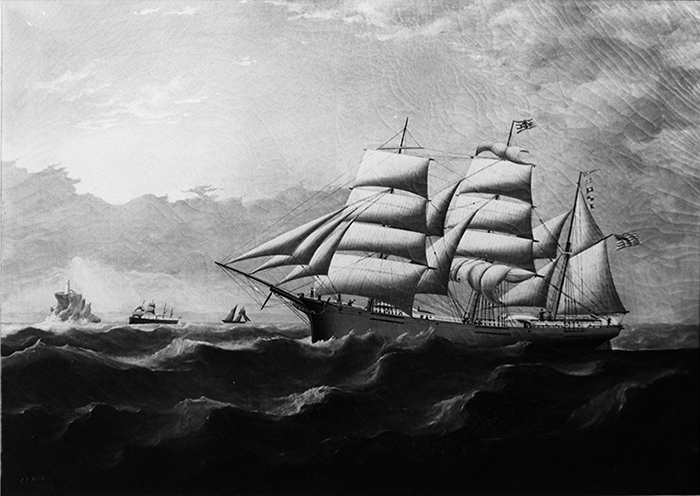 The Moonbeam was built in Searsport in 1859 by William McGilvery. Amos Dow was master from 1859 to 1867. Her rig was changed to schooner in1891; she foundered off Point Judith in 1905.